Fungus in food is a major challenge for global food manufacturers. 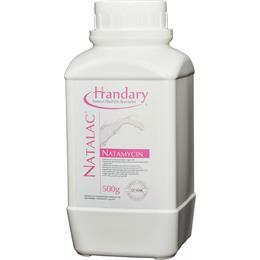 Natamycin is permitted worldwide as a highly effective anti-fungal solution. 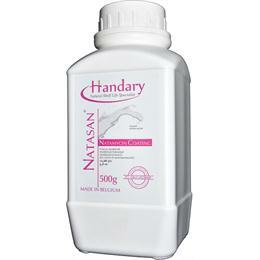 Unlike most antimicrobials, Natamycin is effective at low concentrations and active over a wide pH range (3-9). Because natamycin is used at very low dosage (1-10 ppm), the cost-in-use may be comparable to synthetic preservatives and significantly lower than other natural mold inhibitors. Natap® Natamycin is a naturally occurring anti-fungal agent produced during fermentation by the bacterium “Streptomyces natalensis”. At Handary, Natap® has been recrystallized to achieve the optimal solubility to effectively eliminate the risk of yeast and mould in food and beverage. Natap® Natamycin is a naturally occurring anti-fungal agent produced during fermentation by the bacterium “Streptomyces natalensis”. It is recrystallized to achieve the optimal solubility to effectively eliminate the risk of yeast and mould in food and beverage. The recommended dosage is 10-20 mg/kg. Direct addition or surface treatment by spray or immersion. The applied method of Natap® depends on the application for which it is intended. Please contact us for specific information. Natap® is available in 500 gr/bottle or 50 g/pouch with integral, tamper-proof seals. Packaging is available in other quantities. The regulations governing the use of Natap® vary considerably in the countries in which it is currently approved. Advice regarding the legal status of this product is available as appendix 1. Natamycin under Natap® brand is a food preservative that is approved and used in more than 50 countries around the world. The WHO, EFSA and FDA have evaluated Natamycin thoroughly and all list it as safe for human consumption.